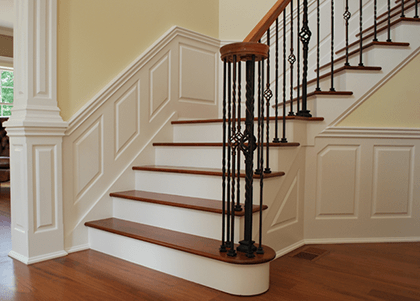 Wainscoting America has 5 standard Wainscoting Profiles to choose from all at the same affordable price. 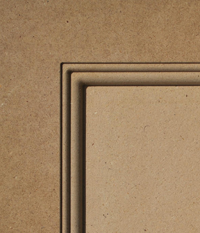 Our design tool is currently setup for the Beaded Raised Panel wainscoting profile and the Shaker Style wainscoting profile which are the most common. 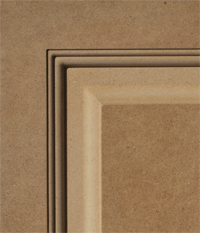 If you are interested in one of the other 3 wainscoting profiles give us a call and we will be glad to assist you. 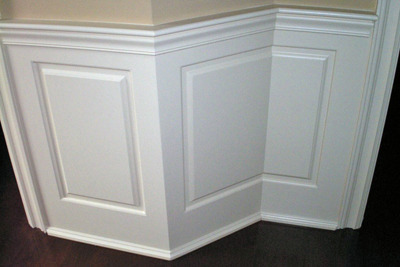 This new wainscoting profile is quickly becoming our most popular profile. 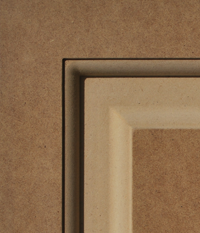 The profile has an additional quarter round around the perimeter of the inner panel giving it additional detail desired in many formal settings. 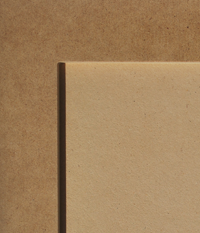 Our original Raised Panel Wainscoting Panel has been renamed to "Classic" because it has a traditional quarter round bead along the outer perimeter of the inner panel. This new wainscoting profile adds an extra bead around the perimeter giving the recessed panel some additional character. 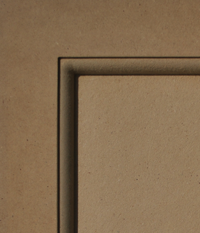 Our original Recessed Panel Wainscoting Panel has been renamed to "Classic" because it has a traditional quarter round bead along the outer perimeter of the inner panel. Our Shaker Style Wainscoting Panel Profile provides a simplistic look that is used in many traditional and modern settings.